Currently viewing the tag: "Robin Hood"
For those of you who have written to me beseeching news of a sequel, I have something good to tell you. I just finished writing the first chapter! Robin Makes It to the Semi-Finals! 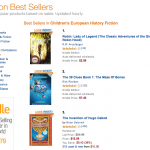 Thank you to everyone who posted a review of my book, Robin: Lady of Legend! 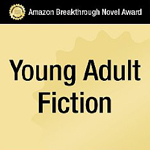 It has successfully made it to the Semi-Finals of Amazon’s Breakthrough Novel Award. That means it beat out 99% of the competition (in other words, it was in the top 1% of all entries). VOTE for Robin in the Quarter-Finals! 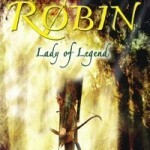 What Genre is Robin: Lady of Legend? How Many Pages is Robin: Lady of Legend? Where did you get the idea for the novel? How did you come up with the cover?